It would be a mistake to get more involved in the Yemeni conflict that poses no risk to national security. March 15, 2017, at 1:45 p.m. While all parties in the war have violated international law during hostilities, most of the misery Yemenis have forcibly endured over the past two years were perpetrated by Saudi Arabia. Most important, the U.S. has no vital national security interests at risk in this conflict. Why, then, is the United States reportedly preparing to assist the Saudis to an even greater extent than when the conflict began? This would be a mistake with potentially huge ramifications. This photo provided by the media bureau of the Joint Operations Command in Yemen shows the site where a Saudi helicopter was brought down in Hudaydah province, Yemen, March 16, 2017. Yemeni army soldiers and fighters from Popular Committees have shot down an Apache helicopter operated by Saudi Arabia in the western province of Hudaydah, a report says. The chopper was brought down in Hudaydah’s Bayt al-Faqih district on Thursday, Arabic-language al-Masirah television network reported. On January 25, the Yemeni forces shot down another Apache helicopter belonging to the so-called Saudi-led coalition in Dhubab neighborhood of Yemen’s Ta’izz province. Separately on Thursday, al-Masirah reported that a Saudi trooper had been killed in the al-Dukhan military base in the kingdom’s southwestern Jizan region. Nine other Saudi soldiers lost their lives in several places across Saudi Arabia’s southern region, including Jizan’s al-Dafinah village. According to later reports, one of the slain soldiers came form the United Arab Emirates (UAE). A World Food Programme ship is docked in Aden. Hundreds of trucks transporting vital medicines, tents and food heading to Al Houthi-held areas have been seized by the militia and the goods sold on the black market, Yemen’s government said. Al Mukalla: The internationally supported Yemeni government has said Al Houthi rebels have intercepted 63 ships and 223 convoys carrying humanitarian aid to areas under their control since ejecting President Abd Rabbo Mansour Hadi from Sana’a in early 2015. In a statement carried by the state-run Saba news agency on Friday, Abdul Rageeb Fateh, the minister of local administration and head of supreme relief committee, said rebels seize relief ships immediately after docking at Hodeida and Saleef seaports and supply goods to their fighters battling government forces across Yemen. Fateh also said hundreds of trucks transporting vital medicines, tents and food heading to rebel-held territories have also been seized by Al Houthis and goods sold in the black market. The minister accused Al Houthis of abducting 30 aid workers from areas under their control, including several Norwegian Refugee Council staff, in the Red Sea city of Hodeida. He said Al Houthi supporters in Taiz’s Khader district abducted seven aid workers. He said harassment of aid workers and interception of humanitarian convoys by Al Houthis is causing famine in areas under their control. He said humanitarian situation would deteriorate if rebels continued confiscating aid convoys. The Saudi-led coalition’s plans to launch an assault on Yemen’s biggest port-city, Al Hudaydah, have caused concern in the Russian Foreign Ministry, which warns the operation would significantly worsen the humanitarian situation in the war-torn country. The coalition’s “plans to storm Yemen’s biggest port of Hudaydah give rise to serious concerns,” Russian Foreign Ministry spokeswoman Maria Zakharova said in a statement published on the ministry’s official website. Two months ago, Moldova’s Deputy General Prosecutor Iurie Garaba traveled to Moscow with an invitation to attend an official function for Russia’s General Prosecutor’s Day. The visit didn’t go as planned. Garaba was stopped by border guards at Moscow’s airport and taken in for questioning. He said one guard rifled through his passport for 15-20 minutes while another asked what he was doing in Russia – despite his official invitation and a document naming him as the head of the Moldovan delegation. “I was asked questions that have absolutely nothing to do with border document checks. For example, ‘How do I pronounce my last name?’, or ‘How to write it correctly?’, Garaba told Reuters by telephone. Reuters was unable to independently confirm his version of events. But some Moldovan officials say the incident is part of a campaign by members of Russia’s security apparatus to humiliate officials from the ex-Soviet state as they travel to or through Russia. The primary aim, four top Moldovan officials including Garaba’s boss Eduard Harunjen told Reuters, is to derail a Moldovan probe into a Russian-led money laundering operation that funneled $22.3 billion of Russian money through the Moldovan financial system between 2011-2014. MOSCOW — Graft is a booming business in Russia, where the average bribe has grown by 75 percent year-on-year, according to the country’s anti-corruption tsar. Greasing the palm of a Russian official cost 328,000 rubles ($5,600) on average in 2016, leading business daily Kommersant quoted Lt. Gen. Andrei Kurnosenko as saying on Thursday. “But often the bribes are much higher,” the policeman said, according to the paper. The total amount of money spent on bribes was 298 billion rubles ($5.1 billion) in 2016, Kurnosenko said. But this is only the corruption uncovered by law enforcement agencies, which opened 69,000 cases involving graft and fraud last year, he added. Kurnosenko did not explain the reasons for the increase. The ruble has lost half its value against the dollar since 2014 in the wake of international sanctions imposed as punishment over Russian meddling in Ukraine and plummeting oil prices. Iranian-backed Houthi rebels working to take power in Yemen are using a new weapon that is raising fears of seaborne attacks on both military and commercial shipping in the region. 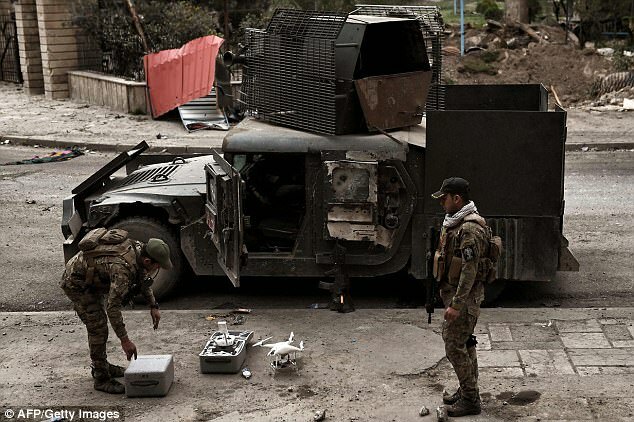 The weapon is an Iranian-designed remotely piloted small boat filled with explosives, a defense official told Inside the Ring. The exact number of the explosive drone boats is not known, but the rebels are believed to have enough to threaten ships that pass through the strategic sea lanes off the Yemeni coast. The Navy has intelligence photos of the deadly boats but declined a request to release them. The boats were first detected after one was used in an attack Jan. 30 on a Saudi frigate in the Red Sea. Iran is backing Houthi rebels as part of a strategy of seeking to encircle its rival, Saudi Arabia, and ultimately to take control of the peninsula. One strategic objective of the Iranians is to control the strategic Bab el-Mandeb or Mandeb Strait on the southern Red Sea that is a major shipping passage. Iran already has a major influence in Iraq and in the past has threatened to shut down shipping in the Persian Gulf by targeting traffic passing through the Hormuz Strait. The Pentagon has sent to Iraq and Syria more than 400 airmen along with B-52H Stratofortresse jets for day-to-day combat operations in a first event of a kind in over twelve years. WASHIGTON (Sputnik) — B-52 bombers at Minot Air Force Base in the US State of North Dakota have been deployed, along with more than 400 airmen, to the air campaign in Syria and Iraq against the Daesh terror group (outlawed in Russia), the Department of Defense stated in a press release on Wednesday. “The 23rd Bomb Squadron sent a number of B-52H Stratofortresses to take over day-to-day operations, which will be the first time in 12 years aircraft from the base have deployed in support of combat operations,” the release stated. The B-52 is a subsonic long-range bomber that can fly at altitudes of up to 50,000 feet and deploy the widest range of weapons in the US aerial arsenal. The aircraft has been operated by the US Air Force since the 1950s. The US-led coalition of 69 nations has conducted an air campaign against Daesh in Syria and Iraq since the summer of 2014. However, the coalition’s actions in Syria have not been approved by the country’s government of President Bashar Assad or the UN Security Council. It was also reported that the United States may deploy an additional 1,000 troops into northern Syria in a matter of weeks to aid the offensive against Daesh in Raqqa. Lockheed Martin F-35s have fired their first non-US-produced missiles in testing, with the activity providing a boost to MBDA’s sales efforts for the ASRAAM. Announcing the development on 15 March, MBDA said flight trials and air-launched firings have taken place using test aircraft operating from Edwards AFB, California and NAS Patuxent River, Maryland. The short-range, infrared-guided ASRAAM is being integrated with the short take-off and vertical landing F-35B variant for the UK. “The effort is progressing to plan, and these integration activities will allow the initial operating capability of the aircraft” for the nation, MBDA says. The European company hopes that other F-35 customers could opt to acquire its weapon, in preference to the Raytheon AIM-9X. Australia already uses the Mach 3-capable missile on its Boeing F/A-18A/B strike aircraft, and has previously expressed some interest in also using it with its Joint Strike Fighters. “The fact that it is a real firing that has taken place is important, because that allows the other F-35A and B users to now have a choice,” says Dave Armstrong, MBDA’s executive group director for sales and business development. Meanwhile, Armstrong says the company remains hopeful that the US military could acquire its Brimstone air-to-surface missile to provide some of its fast jet platforms with an “off-the-shelf” precision strike capability against moving targets, despite the business uncertainty raised by US President Donald Trump’s buy-American agenda. MBDA on 15 March reported its receipt of new orders worth €4.7 billion ($5 billion) in 2016, against sales totalling €3 billion. This compares with respective figures of €5.2 billion and €2.9 billion in 2015, and chief executive Antoine Bouvier notes that the company’s book-to-bill ratio over the past four years has been 1.6, due to “an exceptional order track record”. Followers of the Islamic State (IS) group in Indonesia for the second time in less than a year have lost a leader with the reported death of Bahrumsyah, an Indonesian militant fighting in Syria who is said to have died on a suicide mission in the war-torn country. Bahrumsyah’s death comes only four months after IS Indonesian jihadist Abu Jandal al Yemeni Al Indonesi alias Salim Mubarak Atamimi was killed during a US-led international coalition assault in Mosul, Iraq, in November 2016. The death of Bahrumsyah leaves Bahrun Naim as the only Indonesian IS fighter in Syria with a reputable position in the terrorist organisation. On the sixth anniversary of the Syrian uprising, moderate rebels have never been weaker — and jihadis have never been stronger. After six years of conflict, Syria and its people have been completely transformed. The effects of a crisis that has killed nearly a half-million people and forced nearly 11.5 million more from their homes are now etched into the many identities to which Syrians attach themselves. While a majority of Syrians vigorously resist the formal breakup of their country, it is impossible to ignore how the brutal and protracted war has instilled deep divisions in a once-cohesive society. In many areas of the country, battle lines remain physically drawn among villages that once lived in harmony. And the sectarian dynamic that was once supported only by extremist fringes has started to decisively shape the mainstream opposition. Largely free of any government instruction, and spurred on by the gradual weakening of the opposition’s most moderate base, al Qaeda spent much of 2012 to 2015 building the trust of Syria’s opposition under the guise of Jabhat al-Nusra, which means literally “support front.” This was the first phase of al Qaeda’s attempt to embed itself in the opposition. The group positioned itself as merely one component of a broad Syrian revolutionary movement, using controlled pragmatism, a clearly defined military strategy, and an emphasis on localism to socialize Syrians into accepting, then supporting, its presence. By rebranding itself as JFS in mid-2016 and by telling Syrians that it had broken its external ties to al Qaeda, the group sought to overcome the only remaining hurdle to uniting the ranks by convincing enough of Syria’s opposition that it was a fundamentally Syrian movement, dedicated to a local cause and not to a transnational jihadi project. Turkey is looking to pay for a new Russian missile defence system with a loan from Moscow, according to the Russian CEO responsible for the deal. The loan required to buy a new S-400 missile system was being considered by the Kremlin, Sergey Chemezov told Russia’s state-owned news channel, Rossiya-24. “They have expressed a wish to get a loan, but the issue has not yet been resolved,” the CEO of Rostech said. The militant Greek group Conspiracy of Fire Cells has claimed responsibility for a parcel bomb mailed to German Finance Minister Wolfgang Schaeuble, police said on Thursday. The parcel was mailed to Schaeuble from a post office branch in Athens but was intercepted by the German finance ministry’s mail department. The group has previously claimed responsibility for a wave of parcel bombs sent to foreign embassies in Athens in 2010. It did not specify what Nemesis Plan was. Police consider the claim as credible. A letter bomb exploded Thursday at the French office of the International Monetary Fund, lightly injuring one person, according to Paris police. Staff from the IMF office were evacuated and armed military officers and police guarded the area, in a chic district of western Paris. The World Bank office in France is in the same compound. It is unclear who sent the homemade explosive, which was like a “big firecracker” and sent by regular mail, said Paris police chief Michel Cadot. He said the IMF office had received threatening phone calls in recent days but they were not necessarily linked to Thursday’s incident. IMF director Christine Lagarde, who is French, said in a statement that she was informed about the explosion while on a trip to Germany. “I condemn this cowardly act of violence and reaffirm the IMF’s resolve to continue our work in line with our mandate,” she said. 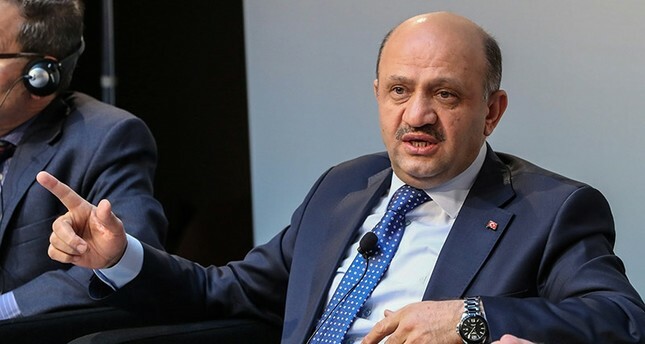 Turkish Defense Minister Fikri Işık said that Russia’s S-400 missile systems would not be integrated into the NATO system during a televised live interview Thursday. Işık said that Turkey preferred to purchase the long-range missiles from a NATO member, but added that Turkey had not seen desired cooperation. The defense minister stated that if the two countries agree upon the sale of S-400 missile defense systems, then there would not be any obstacles. Işık emphasized that the S-400 missiles would be placed under national control, adding that Turkey could produce its own missile defense system within five to seven years, which would then be integrated into the NATO system. Turkish officials confirmed Wednesday that the talks between Turkey and Russia concerning the sale of S-400 missile defense systems have been positive, also noting that negotiations on the details of the deal are ongoing. The sale of the missile system was also discussed during a meeting between President Recep Tayyip Erdoğan and his Russian counterpart Vladimir Putin in Moscow during Erdoğan’s visit to Russia March 10. Amid growing tensions with NATO, a division of Russia’s Aerospace Force will practice detecting ballistic missiles during launches carried out by the Strategic Missile Force, Aerospace Force Commander-in-Chief Colonel-General Viktor Bondarev said Wednesday, in an interview with Russian daily Krasnaya Zvezda. Space Troops, the division of Aerospace Force, is expected to launch 15 carrier rockets this year and about 40 tactical exercises with subordinate military units will also be conducted, Bondarev reportedly said. “The Space Troops will team up with other branches and services of the Russian Armed Forces to practice detecting ballistic missiles, using the forces and resources of the (Special Designation) Aerospace Army during the demonstrative launches of intercontinental ballistic missiles by the Strategic Missile Force,” Bondarev told the Russian-language newspaper, according to Tass news agency. “For the purpose of building up the orbital grouping of satellites, 15 launches of space carrier rockets have been planned to deliver more than 20 satellites into orbit,” Bondarev added. The Kuwaiti National Assembly approved on Tuesday an Agreement between the State of Kuwait and the North Atlantic Treaty Organisation (NATO) on the transit of troops and members of the alliance across Kuwaiti territory. The Foreign Affairs Committee of the National Assembly explained in a report that the agreement works on a legal basis and provisions which permit the transit of forces and members of the NATO alliance through the State of Kuwait if a request is made. Kuwait News Agency reported First Deputy Prime Minister and Foreign Minister, Sheikh Sabah Al-Khaled Al-Hamad Al-Sabah, saying that Kuwait is “one of the first countries to join the Istanbul iInitiative, which seeks to see security and stability in the region in 2004”. Sabah stressed on the importance of cooperating with 28 countries represented in the alliance for the sake of the country’s security and stability. He noted Kuwait has cooperated with NATO in several areas such as counter-terrorism, natural calamities and in areas of maritime security and military training. Al-Sabah said his country’s cooperation with NATO came in accordance with the UN Security Council resolutions which stipulate helping NATO forces and facilitating their tasks to help in Iraq and Afghanistan. WASHINGTON – There are 14 Obama holdovers still at the Pentagon, two months into the Trump administration. Currently, Defense Secretary Jim Mattis is the only presidentially-appointed, Senate-confirmed appointee at the Pentagon, out of 53 such positions. Obama holdovers are filling four of those positions: Deputy Defense Secretary Bob Work remains in his position; Robert Speer is serving as Acting Army Secretary; Sean Stackley is serving as Acting Navy Secretary; and Lisa Disbrow as Acting Air Force Secretary. The Pentagon said there are 10 other Obama holdovers still serving, but has declined to name who they are or what positions they are filling. Trump has filled an additional 32 slots for non-Senate confirmed positions, for a total of 33 hires, including Mattis. That number is less than a fourth of the 163 political appointees at the Pentagon on election day. The White House was expected to announce a handful of names for top political positions at the Pentagon as soon as this week, a defense official told Breitbart News. The White House declined to give a time frame for the announcement. China is taking a page from the Pentagon’s playbook under the Obama administration: it’s partnering with tech companies to develop more cutting-edge weapons. But China’s innovation-focused strategy could elevate the espionage risk to the U.S.
Ironically, this new threat emerges as the Trump administration is expected to slow its outreach to the tech firms. Over the weekend, Chinese President Xi Jinping made an address to the country’s national legislature where he urged the People’s Liberation Army “to speed up” the application of advanced technologies, according to the Chinese military’s official web portal. Jinping sees “integrated military and civilian development” as one of the drivers of science-tech innovation and key to upgrading China’s military capabilities. “If you were to look at reports like Chinese military power over time, it’s obvious that China is closing the gap more quickly than, for example, we probably would have estimated five or three years ago,” said Anthony Cordesman, a national security expert and Arleigh A. Burke Chair in Strategy at the Center for Strategic and International Studies think tank in Washington, D.C. The communist nation’s military has made major technology strides in the past decade in missile, laser weapon, advanced sensor and stealth aircraft development with the help of Chinese firms in the civilian sector. Donald Trump has reportedly given the Pentagon permission to carry out more raids in Yemen – despite a botched mission in January that resulted in the deaths of 20 civilians and a US Navy Seal. The White House told military leaders they can carry out missions in the Gulf state without specific presidential approval. 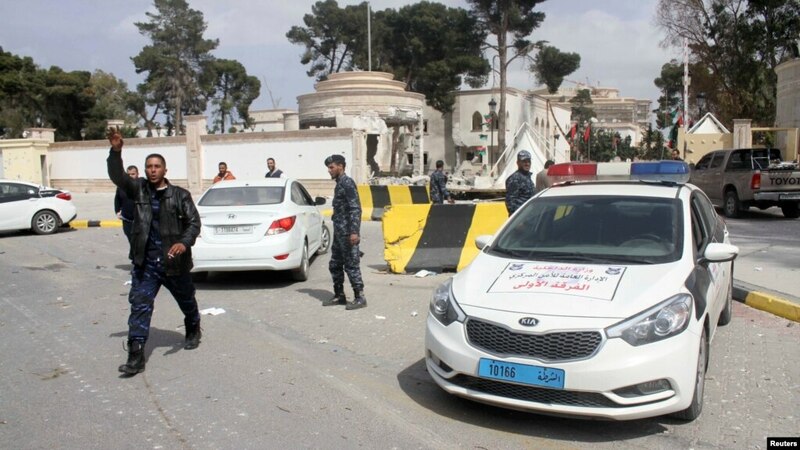 Negotiations about extending similar permissions to raids in Libya and Somalia are also taking place, CNN reported. Instead of needing Mr Trump to sign off on specific missions, officials told the broadcaster that military leaders will be given the freedom to carry out operations providing they are in line with a broader strategy agreed by the President. US drone campaigns have been repeatedly criticized for civilian casualties. Now there are concerns that the authorization of the CIA to carry out drone strikes against terrorists will lead to even more controversy. Trump reportedly extended the authority of the agency shortly after his inauguration. The intelligence agency will now be able to use unmanned aircraft and target terrorists without permission from the Pentagon or the White House. TAIPEI, Taiwan (AP) — Taiwan is planning to upgrade its F-16 fighter jets and will seek cutting-edge stealth aircraft from the United States in the face of a growing military threat from rival China, the Defense Ministry said Thursday. The announcement follows the release of this year’s $11.4 billion defense budget, an increase of less than 1 percent from last year, reflecting strains on the government’s finances resulting from a heavy entitlements burden and slowing growth in the high-tech, export-oriented economy. That compares to China’s 7 percent rise in defense spending, announced this week, bringing its defense budget to about $151 billion, the world’s second largest after the United States. In response, Defense Minister Feng Shih-kuan told lawmakers that Taiwan is focusing on inexpensive but effective “asymmetric warfare” techniques to combat threats in the air and seas. 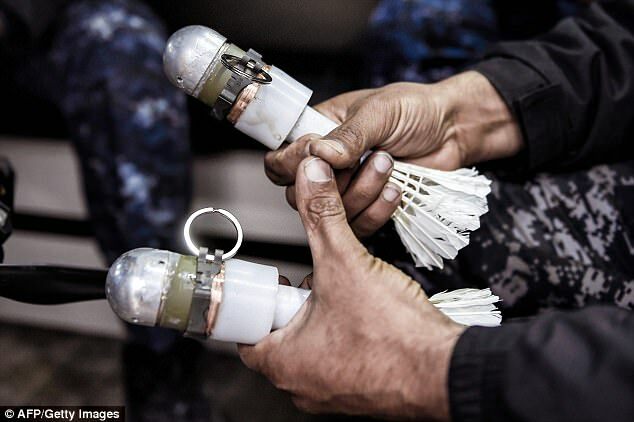 The Iraqi army is giving ISIS a taste of its own medicine by bombing them with shuttlecock grenades attached to drones. Mass amounts of location data appear to have been siphoned off by a third party who may have control of entire cell phone towers in the area, according to information obtained by the Free Beacon. This information was compiled by a program that monitors cell towers for anomalies supported by DHS and ESD America and known as ESD Overwatch.